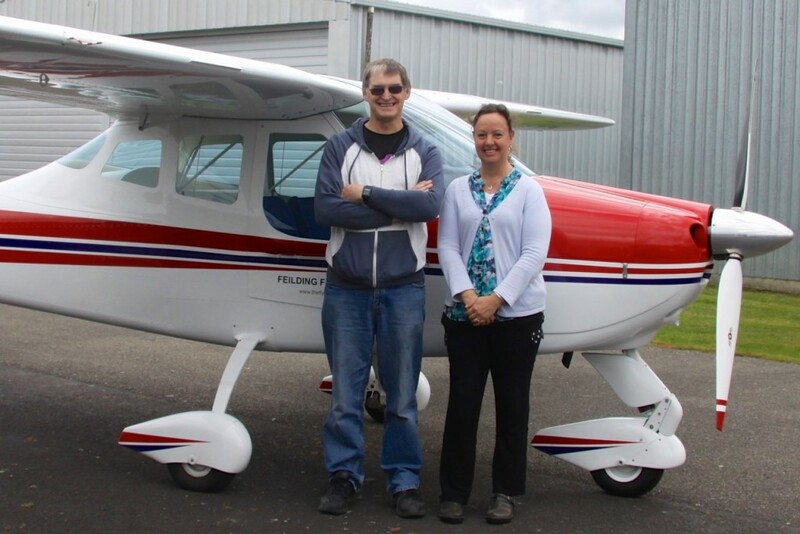 Sweet Louise Member Harriet McRae had a once in a life experience thanks to Frank Van de Hulst from the Feilding Flying Club. This journey through the air in a microlight plane took place in memory of Sweet Louise Member Lisa Laney. Lisa lived life to the full, and Frank, Lisa’s uncle, had planned to take Lisa flying to add to her adventures. Sadly, Lisa passed away before she could take the flight. But as she would’ve wanted, the batten was taken up by Harriet. Thanks to fellow flying club member Ian Boag, Harriet’s husband Grant was able to go along too. During their flights they enjoyed some of New Zealand’s spectacular scenery including flying over the stunning Mount Ruapehu. Frank even handed over the controls for a moment or two. After an hour and a half, they returned with a smooth landing and huge smiles all round. Your generous support can help make a once in a lifetime experience possible for a Sweet Louise Member like Harriet.